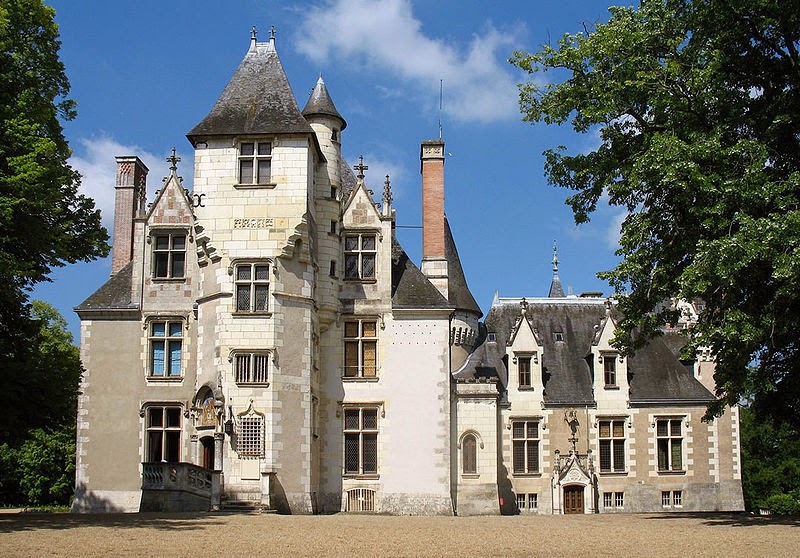 Tomorrow marks the anniversary of the wedding of the Queen's uncle, the Duke of Windsor (formerly King Edward VIII) to American divorcée Wallis Warfield, which took place privately on 3 June 1937, at Château de Candé, near Tours, in France. 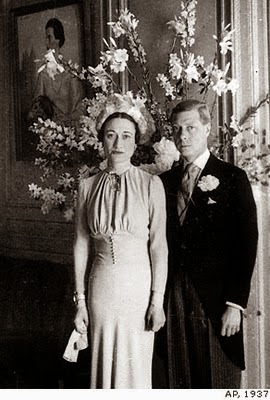 Although no members of the Royal Family were in attendance (the new King, George VI, having expressly prohibited it), the wedding was nonetheless an extremely stylish affair: photographs were taken by Cecil Beaton, the photographer of the moment, flower arrangements were by leading florist Constance Spry and the bride's dress was by American couturier Mainbocher. 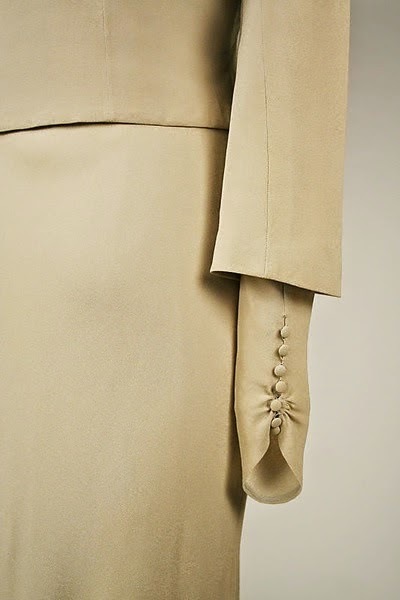 Wallis Simpson’s wedding ensemble, 1937. 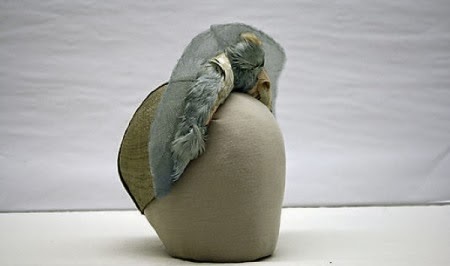 Photo: Metropolitan Museum of Art, New York. 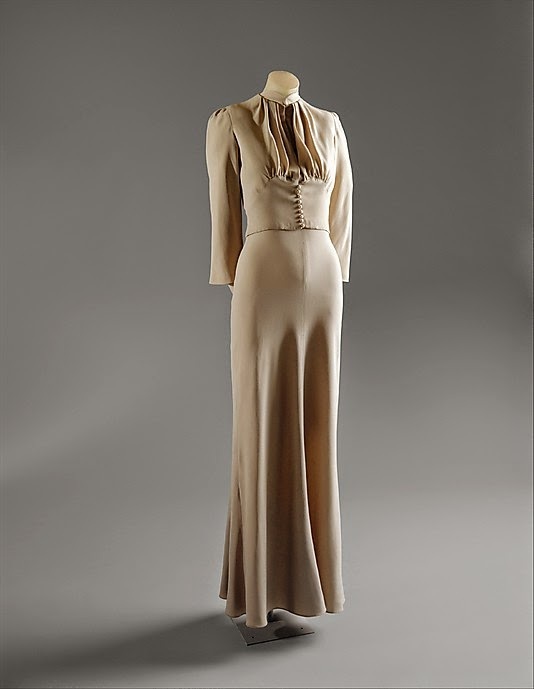 The dress was originally pale blue, a shade called "Wallis blue", said to match the Duchess of Windsor's eyes, with matching hat and silk gloves, although it has discoloured with age and now looks cream, as can be seen below. 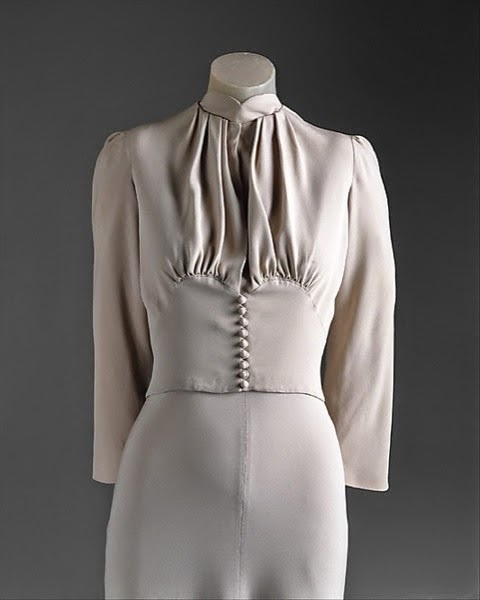 The Duchess donated her wedding ensamble to the Metropolitan Museum of Art in New York in 1950. 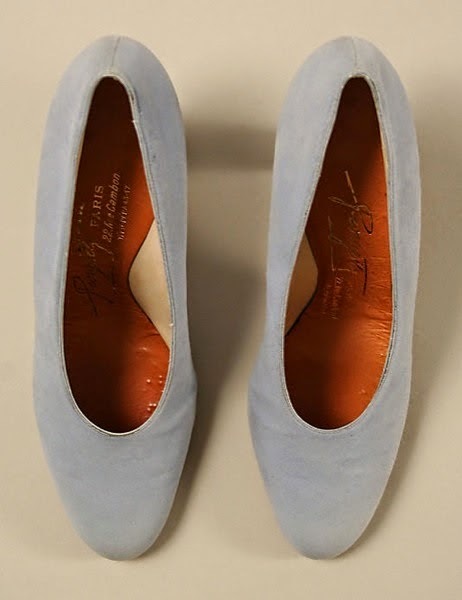 Wallis Simpson’s wedding hat by Caroline Reboux and shoes by Georgette, retaining the original pale blue colour, 1937. 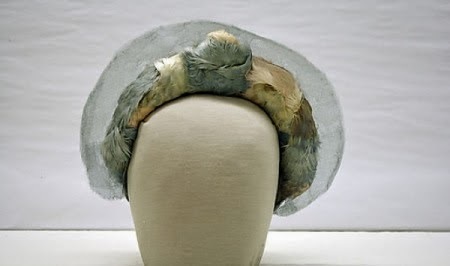 Photo: Metropolitan Museum of Art, New York. 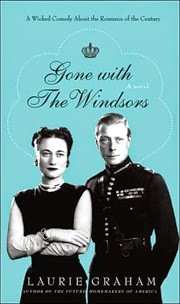 If you are, like me, interested in the British Royal Family and the events surrounding the abdication of Edward VIII in 1936, I highly recommend a delightful little novel (400 pages that fly by!) 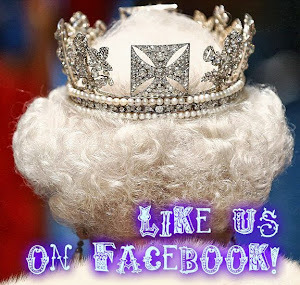 by British author Laurie Graham, "Gone with the Windsors". Available from Amazon UK, this brilliant, highly-entertaining novel is written as the fictional diary of Maybell Brumby, a wealthy Baltimore widow and one-time school friend of Wallis Simpson. Maybell and Wally are made for one another. One has money and a foothold in high society, courtesy of a sister who married well. The other has ruthless ambition and enough energy to power the National Grid. 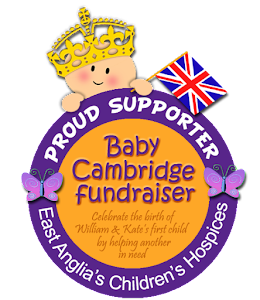 Before the year is out, Wally has begun her seduction of the Prince of Wales, and as she clambers towards the throne she makes sure Maybell and her cheque book are always close at hand. So Maybell becomes an eye-witness to the Abdication Crisis. From her perch in Carlton Gardens, home of her influential brother-in-law Lord Melhuish, she has the perfect vantage point for observing the anxious, changing allegiances for and against Queen Wally, and the political contours of pre-war London. 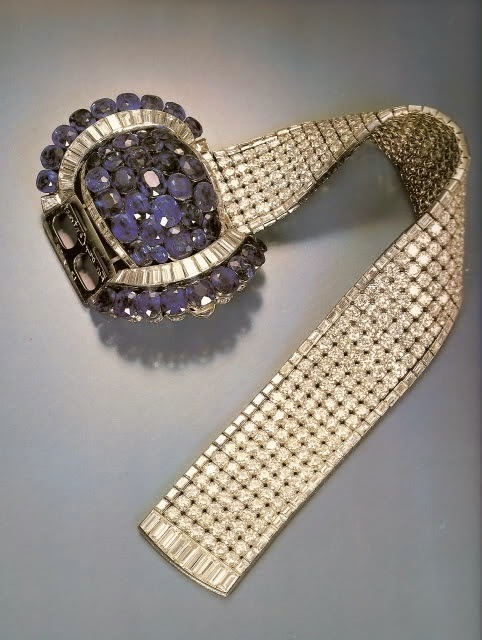 The gowns, the parties, the diamonds...all is described in delightful detail - truly a highly recommended read for the history bunnies out there! 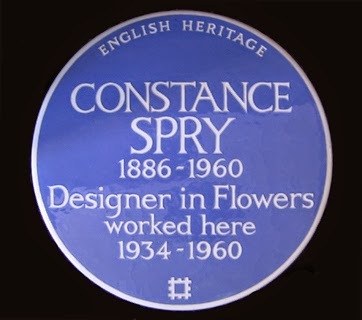 Interested in learning more about Constance Spry, the flower designer at the Windsor-Warfield wedding (and at the Queen's coronation, and at innumerable other society weddings, among them that of Princess Elizabeth in 1947, and events)? 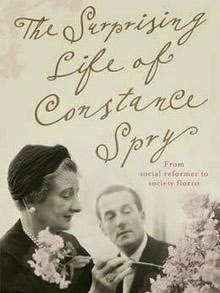 Then head no further than this fascinating biography by Sue Shephard, "The Surprising Life of Constance Spry", available to buy from Amazon UK. What do you think of the Duchess' wedding ensamble? 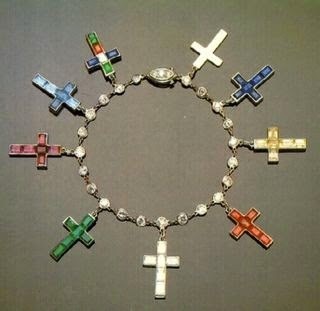 A timeless classic, or a don't?